A legacy lies in wait, a deadly power is awakening—the legendary Super Saiyan Broly is here! Goku and his friends will face their deadliest challenge yet when they experience the power and might of Broly. Will they have enough strength to protect their home or will it take everything and everyone they have to stand against this unshakeable force? 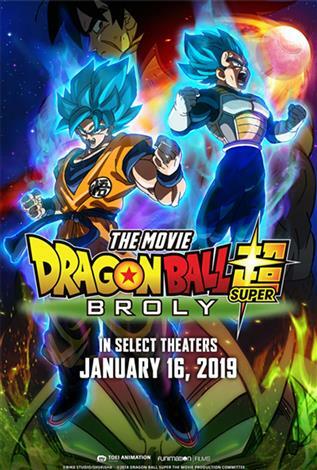 Experience the new power level in the latest movie from the Dragon Ball Super story! Presented in English.